Let’s say you’d rather not have your face captured or digitized for purposes beyond your control — whether by surveillance cameras or some random Google Glasshole. You’ve got options. Even if none of these is a perfect fit for your wearable-privacy needs, maybe one will inspire you to devise an all-new response of your own. We’re in a creative moment with wearable anti-tech, after all. For more on that, see my column today. 1. 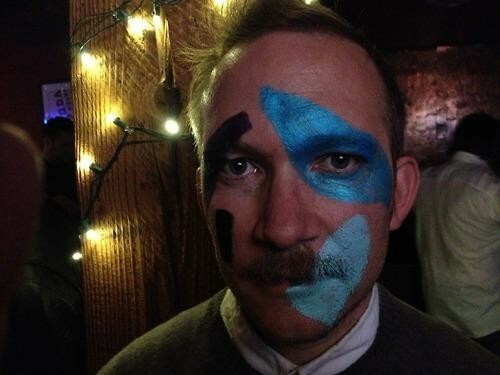 Following the lead of CV Dazzle, here’s a tutorial on devising your own anti-facial-recognition makeup-and-hair strategy. Results on this Tumblr. 3. As spotted in the recent M.I.A. “Double Bubble Trouble” video: thePixelhead full-face mask, by Martin Backes, so that your mug appears as a pixelated blur to cameras. 4. 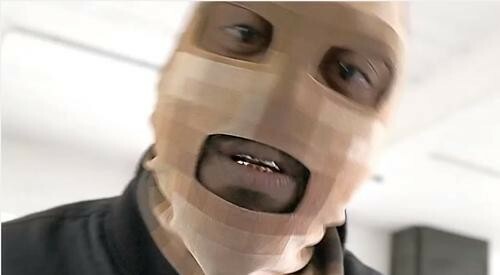 Also spotted in that video, but of origins unknown to me: face-changing bandanas. 5. Inexplicably absent from said video: V. Stiviano masks, as popularized by the former assistant to L.A. Clippers owner Donald Sterling. Not terribly creative, but pretty effective in response to Glass or paparazzi. 6. 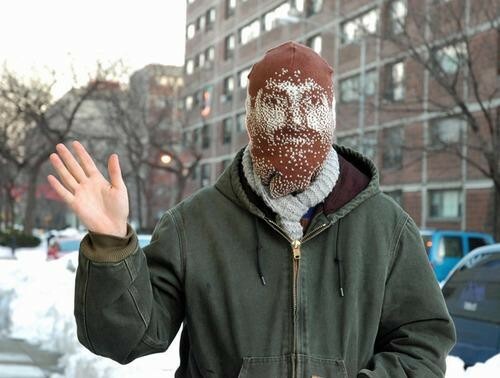 Finally, in a brilliant anti-anti-tech response, there’s the Machine Knit Identity-Preserving Balaclava: Andrew Salomone’s hilarious ski mask that covers his entire head, but offers a bitmappy representation of his actual visage. It was his solution to “keeping my face warm without hiding it.” I’d wear one — with Salomone’s face on it, at least. Write to me at rwalkeryn@yahoo.com or find me on Twitter,@notrobwalker. RSS lover? Paste this URL into your reader of choice:https://www.yahoo.com/tech/author/rob-walker/rss.